I do not have any heroes. I do not know why that is. I think it is because I do not want to make gods out of men for none of us are without fault. So to take an oft used example whilst I enjoy the musical exploits of Michael Jackson, I try to temper my idolisation of this man by reminding myself of his suspicious activities with children. For those of us who have never followed boxing, Mike Tyson automatically pops into our mind as the de facto boxing figure (along with the charismatic Mohammad Ali). I am not questioning for one second his boxing accomplishments but his character is to put it mildly not without blemish. Having said the above, there is a class of people within our society for whom I have high regard. Not the firefighters, the brave men and women who risk their well being for the lives of those who find themselves stuck in a raging inferno. Not the doctors, the well-respected men and women who battle ceaselessly against disease for the prolongment of our mortal coil. Not even the jesters, the witty men and women who provide us with sweet escape from the rigorous toils of life. No not these people, but the humble solar astronomers (astrologists who study the sun) who fight against our ignorance of the yellow dwarf. Why solar astronomers and not anyone else, you may ask. Well I have a very logical and cogent reason for respecting this class of peoples over all others. You see, we have all at a young age learnt from the warnings of others and from our own experiences not to gaze directly upon the giant ball of burning plasma that floats in the sky for fear that it may blind us. And most of us having felt the wrath of eyeball murder that the sun is capable of decided: “Okay, that was not a good idea. I won’t do that again.” A very reasonable conclusion. For solar astronomers a different thought process occured: “Oh yeahhh! That felt good, I want to do this for a living when I grow up!” This reckless, rebellious and rash attitude toward the conventional wisdom of not looking at the sun has gained my respect. By now, many of you are nodding in quiet agreement with my flawless logic and I applaud you for having such great mental faculties. However, some of you might be thinking firemen willingy run into fires which can kill people, surely running into fires is much more reckless than gazing at the sun. That is true, but the potential reward for the fireman is much greater that that of a solar astronomer. The fireman is risking a lot to earn a lot (the respect of others, the saving of lives and the right to drive a big red fire truck to name but a few). That is a cold, calculated risk based decision. The solar astronomer on the other hand is risking their eyeballs for very little. 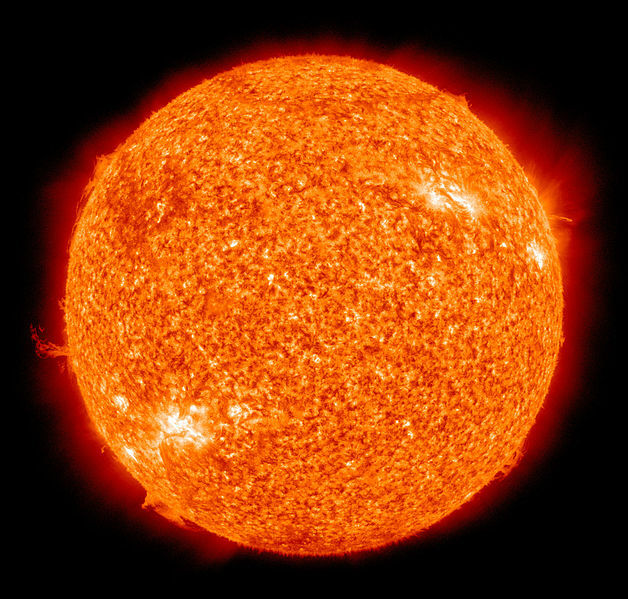 What is the true value of learning so much about the sun? Sure we can use the data that we gain from observing the solar patterns of the sun to predict when solar eruptions may occur but what true purpose does that really serve? And who cares? Just solar astronomers. These guys look at the sun mainly for their own interest, or to borrow a common internet term, for the lulz. This audacious, roguish and feckless attitude toward their own eyes can not go unrecognised no longer! This entry was posted in Musing, Tongue-in-cheek and tagged Eyeball Murder, Funny, Humor, Humour, Musings, Random, Science, Social Commentary, Solar Astronomy, Sun. Bookmark the permalink.